People often want to lump science fiction, fantasy, and horror together because there is a certain amount of crossover. Strictly speaking, science fiction is exactly as it says–fiction based on science. Fantasy is anything outside the realm of reality, usually dealing with magic or worlds and characters that cannot possibly exist in our understanding of the “real” world. Horror is a genre that elicits the emotion of fear, regardless of whether it’s based in science, magic, or reality. While horror is nebulous–it can be represented in many various genres–science fiction and fantasy fans usually have a clear distinction between the two; they want their science and magic separated into convenient boxes. George Lucas mixed things up a bit with Star Wars, calling it science fantasy due to the fact that while the characters exist in a technologically advanced universe with faster-than-light travel and sentient robots, the Force also exists that gives people power beyond what nature provides. In the long run, what does it matter what label you put on a story? One might argue that when you narrow down a specific genre that has a well-defined set of rules, then both author and reader understands what to expect in the story. But what about something like The Strain, which gives a scientific explanation (in this case a virus spread through parasitic worm-like creatures) to the vampire mythos? Yes, it’s horror, but traditionally vampire legends have fallen under the broader heading of fantasy, but this book and subsequent TV show inches into science fiction. 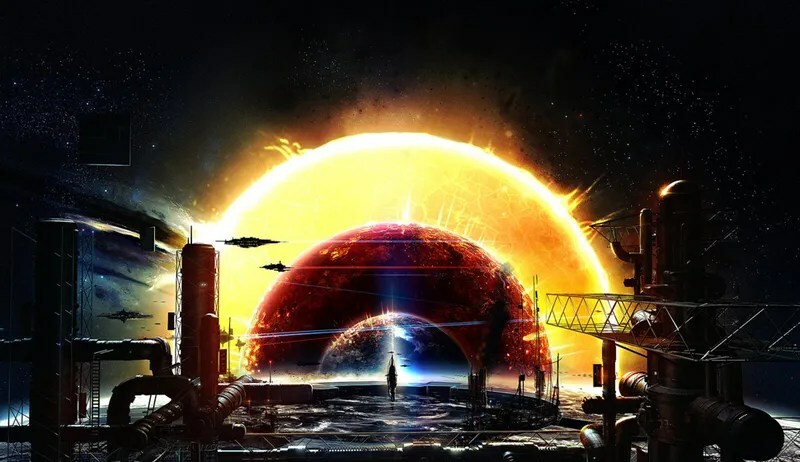 One way that people make the distinction between science fiction and fantasy is that in science fiction, the concepts developed could conceivably be possible, at least some day. However, fantasy involves elements that could never happen, such as dragons, wizards and witches, and alternate histories involving beasts and beings that did not exist. But both genres speculate that such things might be possible, even if it’s only in the realm of imagination. Why is speculative fiction important? One reason is for escapism–the audience can slip away from a dreary reality and delve into a story of make-believe. But more importantly, it generates ideas, some of which could be made possible one day. No, dragons won’t be brought to life, but the writings of Jules Verne, Isaac Asimov, and Gene Roddenberry have certainly inspired people to create the technology and society we live in today and strive for in the future. Speculative fiction can also reflect on humanity, especially our flaws. Much of The Twilight Zone was fantastical, but dealt with racism, paranoia, mental illness, and the general rottenness of some people. J.R.R. Tolkein, C.S. Lewis, and Roald Dahl used fantasy to explore politics, warfare, and the dark side of human nature while Jonathan Swift used it to satirize society. Their wild tales stimulated our collective imagination while also subtly giving us deeper meaning within their words. Whether its rooted in hard science or fantastical non-reality, speculative fiction provides to us a glimpse of where we as human being might be as well as where we currently are.